Why is the West Putting Up with It? The archipelago of political Islam in Europe, from Tariq Ramadan to the Muslim Brotherhood, revolves around the orbit of the Qatar-Iran axis. Egypt's Muslim Brotherhood openly sided with Khomeini's revolutionaries as they overthrew the Shah, and now threatens Saudi Arabia and the UAE and others in the region. After the revolution, for the first time, the Iranians declared war on their own cultural life: theaters were closed, concerts were banned, entertainers fled the country, cinemas were confiscated, broadcasting was forbidden. Will Europe – the cradle of Western culture and civilization – open its eyes and stop regularly taking the side of the Iran's tyrannical ayatollahs? The United States just withdrew from the Iranian nuclear deal. The move is fully justified not only on the grounds security, but primarily because Iran's Iranian Khomeinist revolution is a deadly and propulsive ideology that the West cannot allow to become a nuclearized one. At the French satirical magazine Charlie Hebdo, everything changed when Said and Sharif Kouachi murdered 11 people in its Paris office. Among the texts recovered on the Kouachi brothers' laptop was the Iranian call for death against the novelist Salman Rushdie, calling it "fully justified". The killers were inspired by Ayatollah Khomeini's deadly edict against Rushdie. The bloodbath at Charlie Hebdo is one of the poisoned fruits of the Islamic Republic. The Iranian ayatollahs fear the allure of Western culture. That is why, since 1979, they are at war with it. Never, before Ayatollah Khomeini's rise to power, was a writer forced to live under the threat of deliberate murder, with a bounty on his head, for criticizing Islam. Before the Iranian Revolution, no Arab writer was marked for death. Since Khomeini, murdering literary dissidents has become a routine: the Algerian writer Tahar Djaout, the Egyptian intellectual Farag Foda, Turkish writers murdered in Sivas, and recently butchered bloggers from Bangladesh. The fatwa against Rushdie was one of Iran's most successful attacks on Western civilization and efforts to intimidate the West. U.S. flag-burning and chanting "Death to America" became common in the Middle East only after the Iranian takeover of the US embassy in Teheran. When Donald Trump pulled the US out of the nuclear deal, Iranian MPs in their Parliament burned the American flag. In the last few months, Iranian girls who took off their veil were arrested and beaten. It was Iran that made chador a symbol of political Islam. A woman wrapped in a black chador, the most severe form of hijab, has become one of the most visible images of the Islamic Republic. Women never used to be covered in Egypt, Syria Afghanistan, Turkey, the Maghreb. Khomeini changed all that; he called it the veil "a flag of the revolution". It is not a coincidence that 1989 was not only the year of Rushdie's fatwa, but also when in France started the Islamic scarf controversy. A school principal told three Muslim teenagers that they could not attend high school in Creil due to the France's Contitutional commitment to secularism. The Islamic community started to fight for the right to veil their girls at schools. "We will keep it until we die", the Islamic fundamentalists in France chanted. The hijab was first distributed by the Iranian embassy in Algiers. In Tunisia, the secular government was excommunicated by the Iranian fundamentalists after 1981, when the Tunisian government issued a circular prohibiting the use of a hijab in schools and public offices. In recent years, Iran has also managed to impose the hijab on a large number of European leaders and ministers visiting the country, thereby placing them in a humiliating state of cultural and symbolic subjugation. The Iranian ayatollahs were the first formally to persecute the Christian populations in the Middle East. 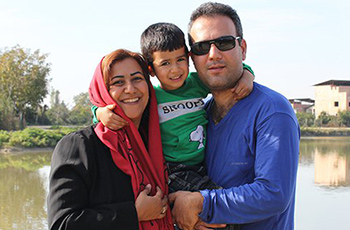 Today, Iran is on list of Open Doors' ten worst countries for Christians. The idea of attacking Jewish communities around the world is also an Iranian invention: in 1992 and 1994, the Jewish community and the Israeli embassy in Buenos Aires were blown up. Until Iran's Revolution, no country had promoted a false Holocaust denial. The archipelago of political Islam in Europe, from Tariq Ramadan to the Muslim Brotherhood, revolves around the orbit of the Qatar-Iran axis. The Egyptian Muslim Brotherhood openly sided with Khomeini's revolutionaries as they overthrew the Shah, and now threatens Saudi Arabia and the UAE and others in the region. In the early years of the Revolution, a ferocious puritanism hit the nation. Thousands of "prostitutes", drug addicts and homosexuals were executed. In public places, revolutionaries attacked people who did not respect the stringent new codes of dress and behavior. Then, there were no Taliban, no ISIS, no Boko Haram. Since the Iranian Revolution, the idea of including sharia in national laws has spread throughout the Islamic world. After the revolution, for the first time, the Iranians declared war on their own cultural life: theaters were closed, concerts were banned, entertainers fled the country, cinemas were confiscated, broadcasting was forbidden. The idea of using children as human bombs originated in was also advanced by Iran. As the German scholar Matthias Küntzel wrote, "Khomeini was the first to develop a full-blown death cult". During the Iran-Iraq war, the Ayatollah Khomeini imported thousands of plastic keys from Taiwan. The ayatollah sent these Iranian children through the Iraqi minefields in the direction of the enemy, to open a gap with their bodies. Before each mission, Iranian children were given a key to hang around their neck; they were told it would open the doors to paradise. Since then, the baby suicide bombers made their appearance in Gaza, Iraq, Syria, Nigeria and Afghanistan. 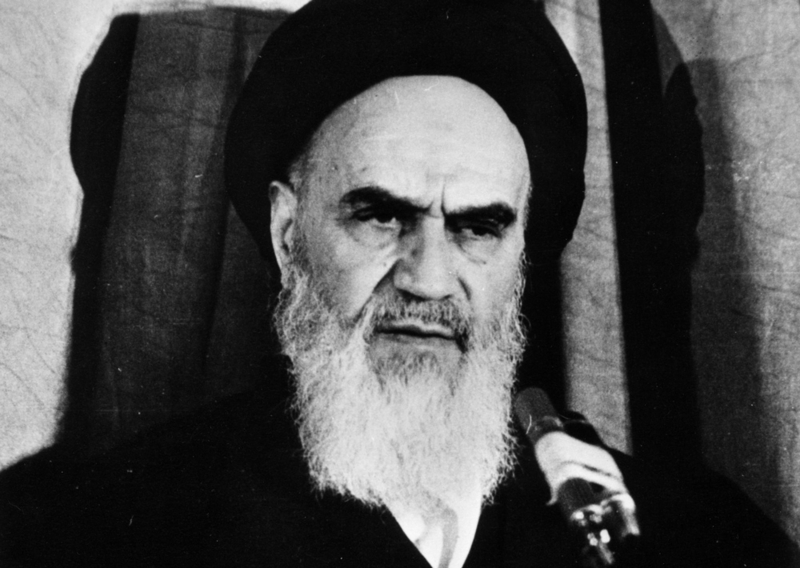 The fatwas against "blasphemous" writers, the veiling of women, the attacks against Jews worldwide, the persecution of Christians, the abuse of children, the imposition of Islamic law... All these have been the poisoned fruits of Khomeini's revolution and the most direct challenges to the central features of the Western civilization. Will Europe – the cradle of Western culture and civilization – open its eyes and stop regularly taking the side of the Iran's tyrannical ayatollahs? "The Iranian ayatollahs were the first formally to persecute the Christian populations in the Middle East"
So, prior to 1979 Muslims and Christians were just having sleep-overs and doing each others hair? Today it's the same regime that sent children into mine fields. Mass murderers they were and are. And Europeans are as oblivious to this as they were to the monsters sending Jewish children to gas chambers. Why should we be surprised? The socialists/whackos in Western Europe just like the ones who are apologists for tyrannies, sycophants of tyrants. They save their vitriol and venom for the leaders of parliamentary democracies-especially successful ones. If the "eyes" of the West are its mass media those eyes are being kept closed by a political and media elite too keen to focus critical attention on alleged Western guilt on all matters relating to the Middle East. I get very frustrated at seeing one report after another on TV news and current affairs urging us in the West to feel guilt at our government's alleged responsibility for the conflicts in Syria, Yemen, Libya, Iraq and elsewhere. It seems that TV journalists feel the only reports and analysis worth broadcasting are those which hold Western governments accountable. Is this a willful anti-western bias? I'm not sure. I suspect the problem may lie with a limited outlook on world affairs. Pacifist/humanitarian virtue signalling offers a lazy and easy response which, superficially at least, looks morally sound. Any suggestion that we actually fight to defend the Western way of life is unthinkingly rubbished as jingoism. It is a mystery why the West seems hell-bent on bring hell upon itself with Islam. Hezbollah jihadists come through South America (the Barakat smuggling route) into the US disguised as Hispanic migrants or by themselves through our porous border. They are here to do harm. The "moderate" Muslims, 80% of whom believe in shari'a law, are here to populate into the political arena and everywhere else, as the means to take over the USA and kill off all "infidels" in the end. What is not to understand about that? Take away the Second Amendment, and America is done and over with. All these school shootings are distractions and a means to attack the Second Amendment. When will Americans WAKE UP to the Islamic and NWO manipulation??? Thanks to Obama's 1.7 billion $ gift the Europeans can only see Iran $ signs. It is time to recognize that Europe, as political concept or as supranational organization (EU), does not equal to liberty. Europe has its eyes wide open, not closed, but fixed in the pursuit to become a despotic empire. Nothing especially new. Thankfully there is a news source that understands the times we are living in. Gatestone is fulfilling this need. Aren't European politicians being paid off to allow their countries to be destroyed? Aren't the elitist globalists who want to control the world through Islam's political system paying off corrupt politicians to allow violent Muslims to invade their countries, infiltrate their school systems, law enforcement, politics? How else could islamization be happening before our eyes if not for the love of money and control? Who will stop the coming Islamic world-wide caliphate? I need an answer. I understand the theory that a globalist elite exists with the intention of controlling the world. When a politician does something that acts against the interests of the people that politician is supposed to represent, it can be assumed that that politician is in the pocket of the globalists. Robert Conquest's third law of politics is apposite here. So far, so logical - but, if this is actually what is happening, why is invasion by Muslims their preferred method? Any empiricist can see that, once a society is overrun and subsumed by Islam, its structure, wealth and values are stripped away. Regarding your question as to who will stop the worldwide Islamic caliphate, I fear that the answer is 'nobody'. I say this because it seems to me that those people who see the problem - e.g. Geert Wilders, Tommy Robinson, Paul Weston, Nick Griffin - are seen as swivel-eyed lunatics by about 90% of electorates and there is no hope of any political traction can be gained in the countries most affected. My own experience is that many people simply do not want to see things in the perspective of a foreign invasion. They cling to the idea of virtuous victims fleeing from persecution, ready to assimilate to a superior, compassionate culture. I notice that when I try to talk about what is happening, and people change the topic and refuse to listen. They cling to their illusions, perhaps like ostriches with their heads in the sand. They can always point to the good immigrants, and ignore the demographics of immigration. Without an open discussion there can be no increase in understanding of problems. Politicians seem to think they are an elite and can simply manipulate people to reach their objectives. As though nobody had any right to object to their manipulations. Selfish interest in one's own ego dominates among the political elites and refusal to discuss the problems they are causing. As usual, Mr. Meotti's writing is quite informative. Now, his column poses an interesting question: "Why is the West putting up with those leaders who are waging war against western civilization?" Indeed, ¿Why is it? Trump was so right to get out of that ridiculous one-sided deal. Iran should be isolated rather than promoted as Obama and so many leftist establishment politicians in the EU still want. Hopefully, the US can get together with Russia on this policy. Russia at least seems to know that Islamic dictatorships are a threat to traditional western cultures so their is some common ground for negotiations. The author asks whether Europe will open its eyes and stop regularly taking the side of the Iran's tyrannical ayatollahs? May I suggest not. Europe swims with the tide of greed and fear. Greed for Iran's business opportunities, fear of US sanctions. The European prefers appeasement to morality, convenience to principle. Expect nothing from Europe save to worm away at keeping the money coming. It is clear that Iran has, since the 1979 revolution, been ruled by misfits. Fortunately, their time in the spotlight now seems passed. The Iranians have woken up to a new era, which is currently being ushered in. When they succeed in deposing the misfits, the attitude of the entire world will change. It is inevitable. This is the change needed to bring peace to the western world. The orient is another story. Europe decided that is much healthier to keep the eyes closed for two reasons: 1st for cowardice, and 2nd for business. Probably many people today regrettably would not know of Salman Rushdie let alone read his books. If any politician was today to mention him and the fatwah he would most likely be accused of Islamophobia, as soon as his words reached the media! Were it not so the two words Salman Rushdie would be a symbol strong enough to evoke Islamist oppression and the dastardly Iranian regime. Plastic keys to open the Gates of Paradise just about sums up the whole concept of 'paradise' does it not?